Great Quality Boats for any Budget. Welcome to The Ship Brokers. We are the selling arm of the Maritime Expert group. 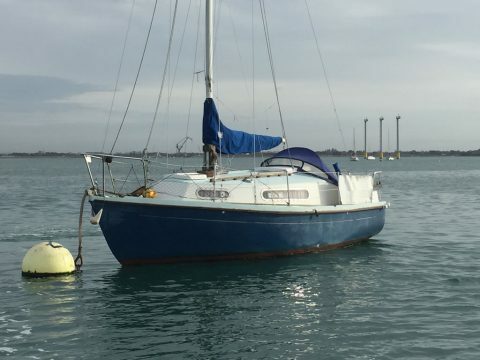 The Ship Brokers is a Portsmouth based company that have close links to BuyAnyBoat who are the UK’s favourite boat buying service and Boatbreakers the UK’s leading boat scrap specialists. We aim to list a wide range of boats for sale including: RIBs, Yachts, Motor Boat, Dinghies, Project Boats, Narrow Boats, Barges, Work Boats, Catamarans, and Tugs. If it floats, we’ll try and sell it. And we are in the business of selling boats so we don’t want to sit on overpriced boats like many other brokers or private sellers will. 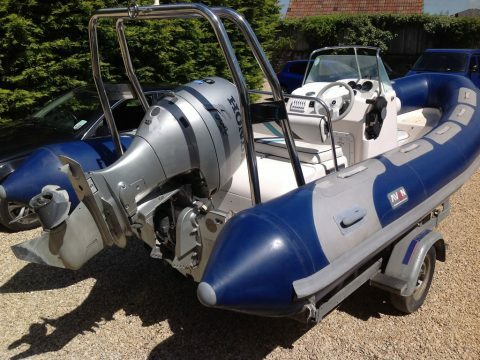 Our team have years of boat selling experience and we aim to give honest descriptions of the boats we list for sale. We are the owners of the boats we sell so the negotiations are easier as there is no middleman to go through, this guarantees you get the boat for the best price. We are always open to sensible offers so why not make us one? 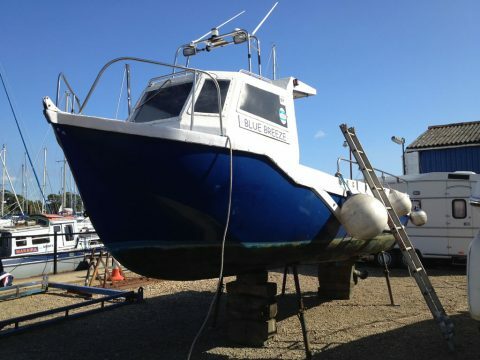 If we are listing a project boat this means we think she needs work before the boat can be used again. We will always be open with what work we think needs doing to the boat. 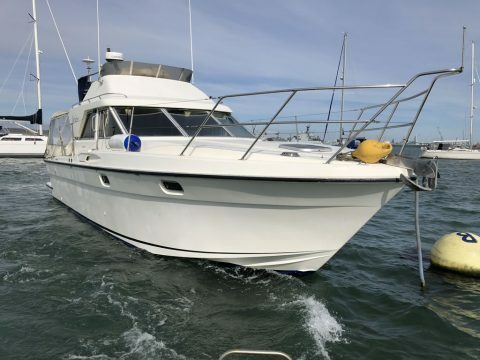 The Ship Brokers team have extensive local knowledge and contacts in the local Portsmouth area which means we can usually recommend a local trades-person to work on your new boat. 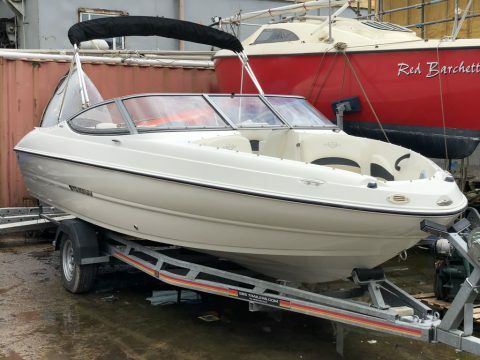 As we are boat traders we will also consider boats, cars, motorbikes and other valuable items in part exchange for the boats we have listed. All the boats we sell we will help with delivery. We can either deliver them ourselves or arrange the delivery for you so you don’t have any stress with getting the boat to you. We try our best to make sure the process of buying a boat from us is as stress-free as possible. The Ship Brokers have a yard in Portsmouth which we use to store boats on land or on trailers. At the yard we have lifting facilities to make loading these boats on to transport very straightforward. If you’re interested in any of the boats we have out of the water at the yard you can also easily arrange to come and have a look at them in person. We also have some boats that we will store on moorings in Portsmouth Harbour. 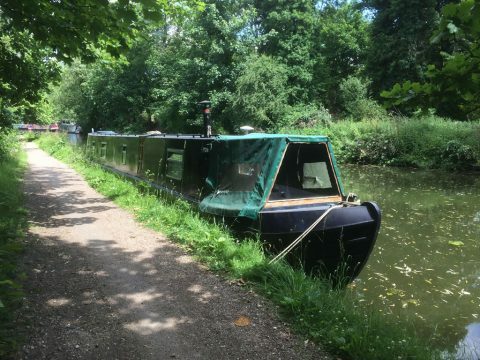 We can usually get the mooring transferred into your name if you want to buy the boat but leave her where she is. These moorings are in an excellent location in Portsmouth Harbour with a complimentary water taxi and plenty of free local parking spaces for the car. At The Ship Brokers we try and be easy to contact, you can: Call, Email, Text, Tweet, Facebook message or come in and see us. We’ll always try and reply as quick as we can.